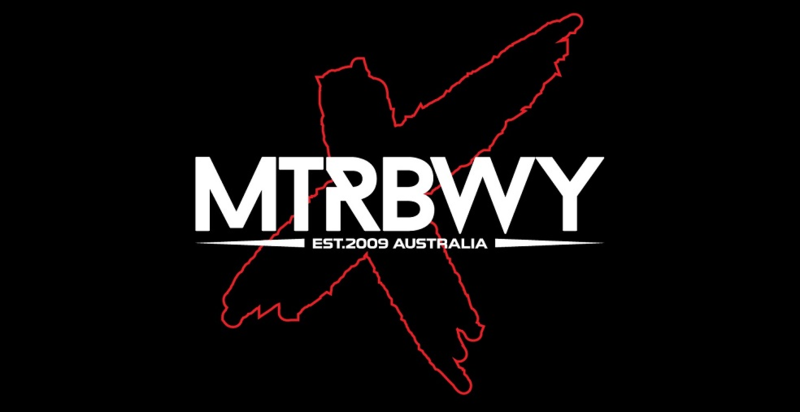 Having just released a collection of traditional and original songs for the festive season titled “Winter Songs”, we chatted with Rob to discuss the new album, as well as his newly launched Metal God Records and Metal God Apparel and reflect on what has been an incredibly productive year for one of the most iconic and nicest guys in METAL! 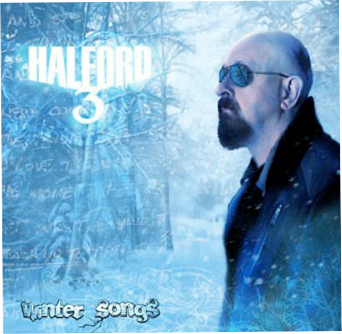 Its been 7 years between solo albums for you, why was now the right time to release Halford 3 “Winter Songs” and make it a Christmas album rather than what we’d usually expect from yourself? Well I talked to the lads about this idea over a year or so ago now when I saw there was a bit of an opportunity at the end of the massive Priest world tour to find time in the calendar to release this kind of record. Quite frankly, I guess it was a little selfish of me to say this is what I want to do because no matter where I work with the guys that I am working with, it’s a combined effort you know in terms of what you are trying to do. But I suggested it to them and they gave it the two thumbs up, so that was all that I needed. They were battling away putting all the arrangements together whilst I was out finishing the tour with Priest and the bulk of the material was completed when I got off the road. I did bits and bobs throughout the year and then the bulk was completed when we wrapped up the Priest tour. 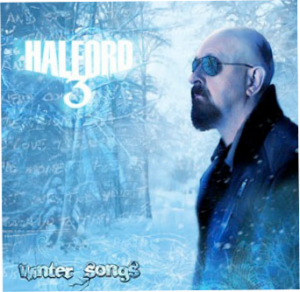 “Winter Songs” features 10 tracks, with 7 being interpretations of traditional Christmas songs and 3 brand new “Halford” recordings. What was the inspiration behind some of the traditional XMAS songs you chose? Yes, there were a couple I wanted to immediately do. I wanted “We Three Kings” because I have always loved that song. Then there was “Come All Ye Faithful” and “Oh Holy Night” were favourites of mine. Then we found “Emanuel” and whatever else by research essentially finding songs that could take the treatment. There are some obvious christmas songs that could work, but I didn’t really want to make a serious record, but musically it’s a very comprehensive display of the bands talents. The musicianship is absolutely brilliant, the lads did a fantastic job. We lightened it up a little bit with “I Don’t Care For Christmas” and “Christmas For Everyone”, but the bulk of it is strong and adventurous. So you really find material that conveys the atmosphere of Christmas and the messages in the lyric manner and you have to make sure that they connect. I think we did a pretty good job, the final 10 tracks do the business. Yeah you know, looking back through my career as a metal singer, primarily Priest has always lead me in a life of metal and always will. But even when Priest did covers, you listen to some of those original tracks and you can’t for one minute think they would turn into what they did. Essentially a good song is a good song, and it will take any treatment to a certain extent. So having had that experience it gave me a little bit more of open mindness to look at some of these songs and having a look at rocking them out and metalling them out somewhat more. Mentioning the “open mind” thing, did you go into this album feeling a certain sense of musical/creative freedom? Yes, you have to. To me that’s what being a musician is all about. It’s taking the blinkers off and not worrying about the criticism, not worrying about the reaction. It’s just putting your heart in the right place and doing your best effort and letting it out and seeing what happens. But I think certainly at Christmas time people are a lot more open minded in a lot of ways. It’s just got a good feeling about it hasn’t it, Christmas time. So, maybe people are more receptive to things at that time of year that they ordinarily wouldn’t consider. I don’t know, I am just making this up as I go haha. I just love to talk about everything in general relative to music. That’s how I feel, you know. When the rumour hit the world wide web that the metal god was bringing out a Christmas album, everybody probably thought I had lost my mind! But I always end up doing what pleases me and what satisfied me and I am lucky to have a fantastic fan base that is always willing to come along with me for the rid and enjoy the moment. That’s right, yes I have to emphasis that, as I am sure some of the metal heads thought that’s where I was going. But looking at he music I have made over the last 35 years or more, I don’ think I have dropped the ball. I’ve kept it pretty close to my heart and I think this music does what it was intended to do. Listening to “Winter Songs is an album that you could listen to at anytime of the year, not just at Christmas, do you agree? Actually, that’s a good point you make Scott because music is music and I know that some of the messages are associated with that special time of the year, but if you just get off on the vibe and the musicianship well you can play it anytime I suppose. 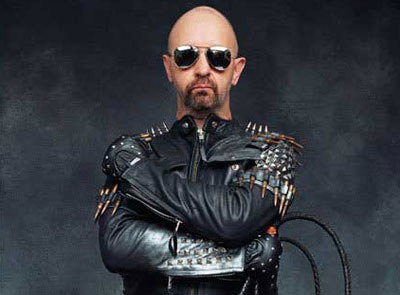 Christmas means many things to many people around the world, what does Christmas time mean to Rob Halford? Well I will be hurtling around the planet on my Harley Davidson dressed up as a Heavy Metal Father Christmas dropping my presents down the chimneys haha. Well, that’s the dream… I will be spending Christmas back home in England with my Mum and Dad and my immediate family and doing what you will be doing really and all the metalheads I guess. Speaking of metalheads, what is your message to those metalhead’s out there who may dismiss this album because they think the Holiday season/Christmas” is not metal haha? Well, I would just say give it a go. 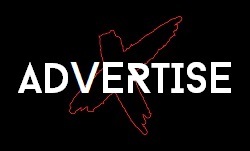 You know, you can always get those 30 second snippets off ITUNES for example or my website. If you have got any preconceived reservations, just have a listen and I think you will be pleasantly surprised. But in saying that, I think those that support me, know me for what I do and know that it comes with a that there is a lot of sincerity and a lot of belief in my making great music happen with the people that I work with. But if you want to be a Heavy Metal Grinch, then that is fine haha. Well I think so Scott. I would be lying if I didn’t say I didn’t consider some of the possible thought process that went into the observation of oh the metal god has gone into the XMAS mode. I value my fans more than ever and I think I proved with that first track which is like a full on roaring painkiller vibe that you can do that. You know, “Get Into The Spirit” is a great way to get into the record and be taken on a really good 45 minutes. All the songs have different tempos or composition, or arrangement. There is something there for everyone really. 2009 has been a busy year for you also launching “Metal God Records” and “Metal God Apparel”. It’s going great thank you mate. 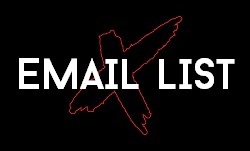 Metal God Records is a young record company, small independent label and we have opened the doors for everyone to send stuff in. If you are good enough and if you have got something that other bands don’t have and don’t sound like every other band, then I think there might be an opportunity for you to come and hang about with Metal Gods Records and we will do our best to promote you and make you a success. The clothing company is just an extension of what people know me for up on stage. We are just starting off with the t-shirts as that basically all I have in my wardrobe. Actually, all I ever wear are jeans and a t-shirt. I thought that would be the easy way to start and if it gets stronger, then we can explore other types of clothing down the track. You know, they are both new businesses, they are both starting off slowly and surely. Particularly in this economy and world wide recession but I don’t think that’s any reason to put the brakes on, you have to keep the ideas and dreams coming. So I have had a really good year, it’s been great. Speaking about clothing, did you ever think that 30 odd years ago, here in 2009 you would be seeing metalheads the world over decked out in Priest inspired leathers and studs etc? It’s brilliant isn’t it. I guess when you look at any band with a long life whether it be AC/DC Kiss or Maiden. I know we are looked up on as one of the Grandfathers of metal, which is an affectionate term. It’s just brilliant. it makes you very proud to think that it all links backwards in time to Birmingham back in the early 70’s. It’s been an absolute pleasure and it’s still going on, it still hasn’t fizzled out or wound up. There is always wonderful opportunities to explore and another great metal song to be explored or created. I guess there is always another great metal song around the corner. I am very optimistic about the future of metal! Here in 2009 we have the Anvil movie gaining popularity with a mainstream audience and then there are bands such as Steel Panther with your Fight bandmate Russ Parish blazing a trail in the UK and USA and Japan. What are your thoughts on where metal is at in 2009? It’s fantastic isn’t it. It’s in so many dimensions of metal music, it’s a worldwide phenomenon, it’s not just exclusive to one part of the planet. It’s everywhere. It’s as strong as it ever was and I am sure it will be even stronger as we move into the metal future. Just briefly , you have a big year coming up in 2010 with the 30th anniversary of “British Steel”? Well we started the party a little earlier recently in America because we wanted to film some shows and so forth. We have now done that and I have seen some of the early pieces of film from the shows and it looks absolutely mind blowing. And I am not just saying that because I am in the band. I’m just saying that looking at us at work up on stage with so much passion and determination and the realness. I can’t wait to get that out. It’s going to be an exciting year, even if it’s just that one event. It’s really become an iconic record and the fans have made it that way in the history of heavy metal. We are really excited for that moment finally arrive in the Spring of 2010 when “British Steel” officially turns 30 years of age. Well Rob, it’s been a pleasure chatting and all the best for a lovely Christmas and a great 2010. Thanks Scott, have a great Christmas, thanks for the opportunity to chat. I hope we get back to Australia as soon as we can, we had a brilliant time last time. Cheers mate!